Click on the image to open an enlarged, printable aerial view of this parcel. 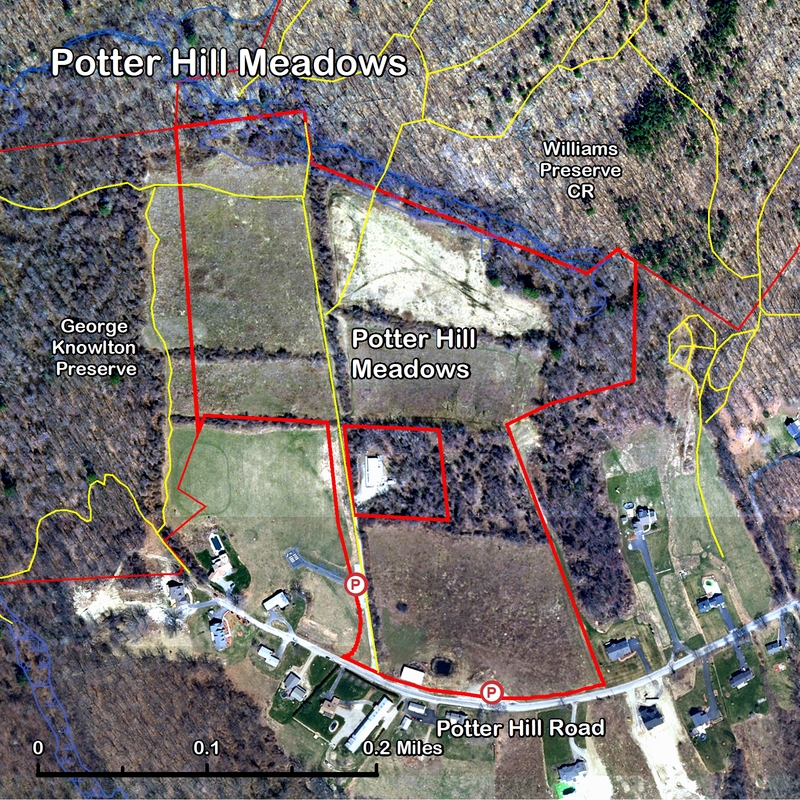 Contiguous with the George Knowlton Preserve and the Williams Preserve CR, Potter Hill Meadows links over 160 acres of pristine open space for public enjoyment in perpetuity. A trail system runs throughout these properties. 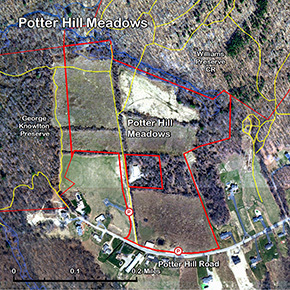 The 33-acre Potter Hill Meadows parcel was originally part of the estate of the late Wesley A. Elvidge. It was purchased directly by the Grafton Land Trust with the support of its membership. Daisies planting trees on the Potter Hill Property, May 4, 2009.